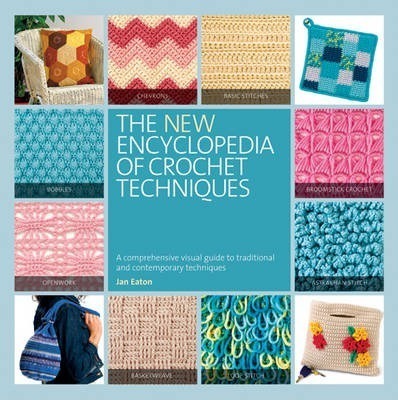 The New Encyclopedia of Crochet Techniques has all the essential tools and techniques for crochet in more than 400 diagrams and photographs, making it an invaluable guide for beginners and experienced crafters. Readers will discover new twists on the basics, and learn how to create complex-looking stitches, openwork and lace, multi-colored patterns, shaped motifs, Afghan squares, and much more. A 16-page gallery in the back of the book features a wide range of crochet items from designers around the world. Jan Eaton is a needlecraft and textile designer. She has published many needlecraft books, including Country Crochet and Knitted Lace, and Crochet Basics.